The first trailer of The Addams Family movie has surfaced! Unlike the original film though, this one is an animated adaptation of the classic ghoulish family. Originally debuted as a single-panel cartoon in The New Yorker in 1938, the Addams Family soon saw itself in a TV series and movie as well. The new animated film is being helmed by Sausage Party director Conrad Vernon and Greg Tiernan. 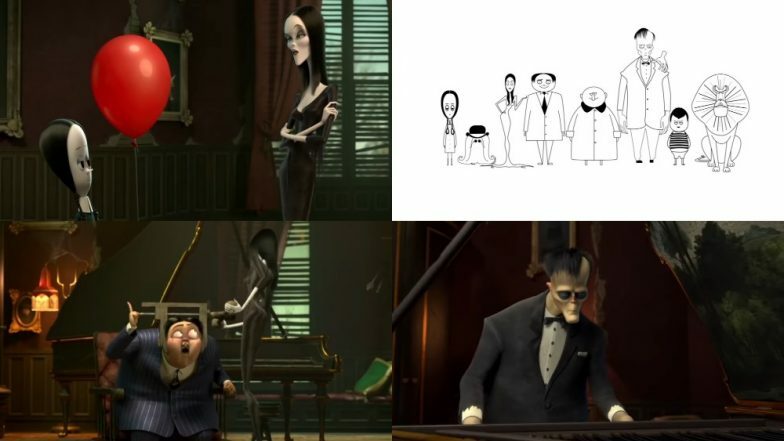 Starring Charlize Theron and Oscar Isaac as the voice cast for Morticia and Gomez, the film also stars Chloe Grace Moretz as Wednesday, Finn Wolfhard (Stranger Things) as Pugsley, Nick Kroll as Uncle Fester, Bette Midler as Grandmama, and Allison Janney as the family’s arch nemesis Margaux Needler. With an impressive voiceover cast, the Addams Family sure will be interesting to watch. The live-action film that was released in the 1990s starred Anjelica Huston, Raúl Juliá, and Christopher Lloyd. Retelling the same story of The Addams Family with joke references to It, the film seems like an out and out children's horror flick. perhaps they are rooting for a different target audience. It is good and bad at the same time considering how the humour is not all that impressive. In fact, a lot of comments on YouTube regarding the trailer also suggest that it is not all that intriguing. You can check out the trailer below. The Addams Family is set to release on October 11, this year. Interestingly, the film will be clashing with Maleficent 2 or Maleficent: Mistress of Evil. Starring Angeline Jolie as the protagonist of the film, Maleficent will be competing with The Addams Family for a good Halloween opening.